What is Slow Scan TeleVision ?? 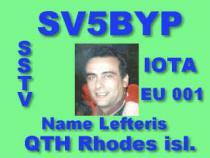 Let's keep it simple ... SSTV is a transmission mode used only by RADIO AMATEURS. This mode gives the possibillity to transmit full color pictures over the radio. The colors of the picture are transformed to an audio signal. Each color has his own tone between 1500Hz (BLACK) and 2300Hz (WHITE). 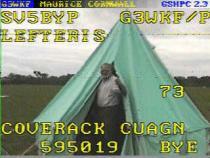 A SSTV picture has 256 lines, each one transmitted 3 times (the 3 RGB colors). The time to send over a picture is about 2 minutes. Where do I find SSTV on the bands ?? 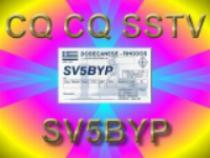 How do I make a SSTV QSO ?? 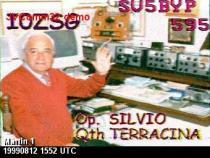 A SSTV QSO is made in the same way as a PHONE QSO, the only difference is you transmit in between your phone QSO some pictures. It's important to use your mike between pictures to avoid doubles. Never break in with a picture, always contact the station in phone! What mode shall I use ?? European stations take MARTIN1 as the standard mode. USA and JAPAN mainly use SCOTTIE1 as the standard. 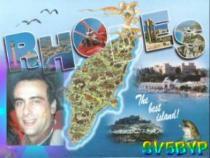 All other modes in your SSTV program are not often used, only for short experiments ! What report shall I give ?? 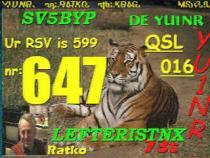 In the SSTV mode a report is given in the RSV form. 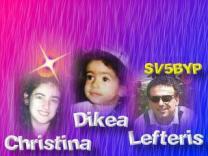 So when a picture in good shape is received with signal strenght 9 a RSV 595 is given. I use CROMAPIX software and the soundcard of my PC as interface. I also use PHOTOIMPACT software for images.